In Tuesday’s episode of Night School, the racing industry’s national online fan education program, no fewer than 25 jockeys, agents, trainers horse owners and analysts will give personal answers to the question of “Why We Love This Game”. The 35-minute video presentation also features “Teacher’s Choice” historical racing highlights handpicked by Night School educators Jeremy Plonk, Joe Kristufek and Caton Bredar. 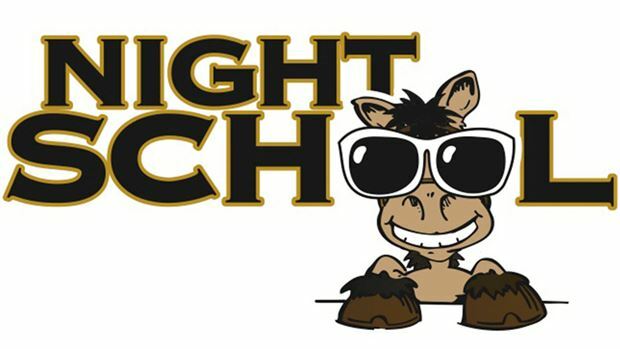 The chat portion of Week 31 of the 2013 Night School season will be hosted by Kristufek, and guest panelists include Bellarmine University adjunct professor Janell Oliver and Indiana Downs’ racing analyst Rachel McLaughlin. As part of Bellarmine’s “Kentucky Derby Hoofprint” course syllabus, Oliver’s students will be required to attend and participate in Tuesday night’s Night School session. Oliver’s parents both trained racehorses before moving to Kentucky in 1993 to focus on the breeding industry. Their big home run was standing Dynaformer (sire of Barbaro) in the 90s. Oliver herself stays active in the sport through teaching and writing. McLaughlin,herself a horse lover and the an on-air analyst at the Indiana tracks for five years, will join the chat to preview Saturday’s Indiana Derby. On Thursday, Oct. 3 at 8:30 p.m., Horse Player NOW’s Jeremy Plonk will host a special Indiana Derby Day Big Event chat. The Night School Tour of onsite fan education events makes two stops this week. In conjunction with America’s Best Racing, the Tour hits Keeneland for Fall Stars opening weekend. On Friday, fans in Lexington can learn up close and personal with Joe Kristufek, Caton Bredar, Brian Nadeau and Tim Brannan. Katherine Wheeler replaces Kristufek for Saturday’s event, as he hits the road to lead the Indiana Downs team of Brian W. Spencer and Erin Thompson for Indiana Derby Day. The all-day seminars are free and informal throughout the afternoon.